As Provence is high place of the French wine production with some of the finest wines of France thanks to the Tavel, Côtes du Rhône and Chateauneuf-du-Pape wines, the Millévin is a day-long festival organised in Avignon, organised every November to promote and celebrate the local wines and new millésime - wines of the year - of Provence's wineries! What are the differents events, and when? 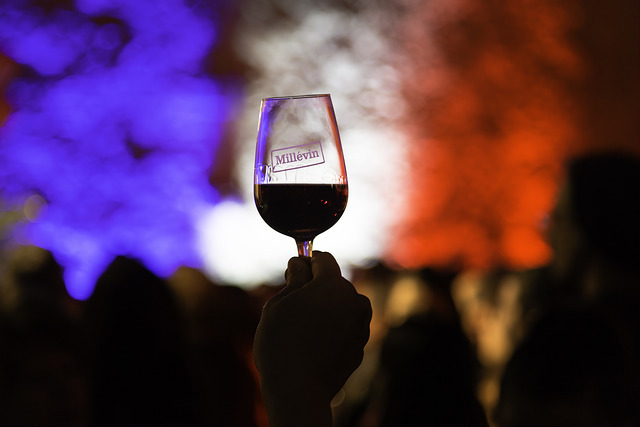 Every year this festival is organised in November – the 15th of November in 2018 – and allows you to understand the wine culture of the south of France. You start the day from the “Halles” – Place Pie, one of the biggest squares in Avignon – with a degustation of the new “millesime” (this year’s one) of the AOC (Protected designation of origin) Côte du Rhône wine, from 10am to 1pm. After 1pm, the festival halts before starting back again at 6pm: this is the best time for you to wander in the streets of Avignon, a magical place to discover by foot. The city centre is a UNESCO world heritage site thanks to the many and outstandingly maintained historical edifices and monuments visible in the city: with the likes of the Palais des Papes (Popes’ Palace), the famous Pont-Saint-Bénézet (aka Pont d’Avignon) - internationally famous thanks to its song - ,the Petit Palais, the many chapels, churches, squares and may more. If you are interested in history and French art-de-vivre, you will have a wonderful time in Avignon. From 6pm to 9pm, this is where the fun starts: for only 5€, you will get a glass, 5 tokens for tastings and one breathalyser – be safe, don’t drink and drive – and then will walk in the pedestrian street or head to the Town Hall to choose from the many wineries you would like to have a glass of wine from in exchange of one of your tokens! 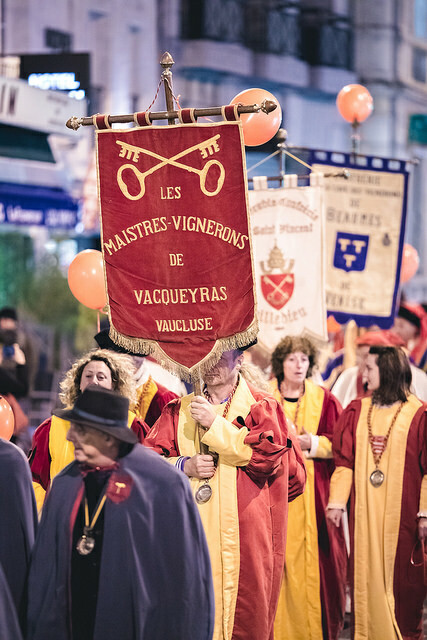 At 6pm, you will also have the opportunity to see the parade of the Members of the Wine guilds of the local wineries! They usually start from the Tourist information centre, at the beginning of the “Avenue de la République”, and head to the “Place Saint Didier”, via the pedestrian lanes. 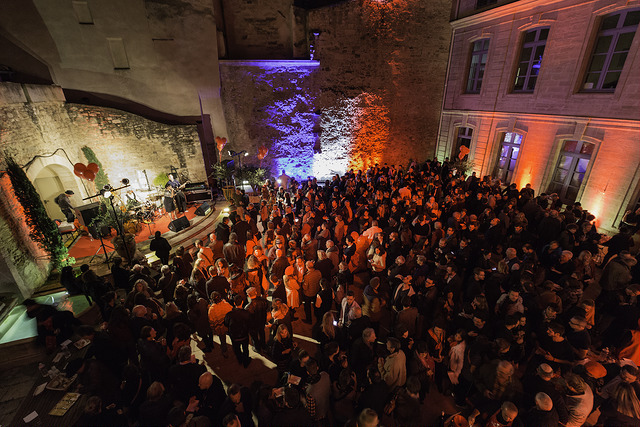 At the place Saint Didier, they stop in front of the InteRhône headquarters, the “La Maison des Vins” in which you can entre and partake in wine tasting. There usually is a small concert there to make the whole experience more fun and enjoyable! The wine tastings stop at 9pm and from there you can enjoy a great meal out in the many and various restaurants that sponsor this event: you will be offered a glass of wine as an aperitive! The recipe for a wonderful day and night out in the French culture and in the heart of Provence!